This program addresses to UN Sustainable Development Goal 5 “Gender Equality” by reducing gender discrimination at work place. It aims to promote empowerment of women by ensuring their full and effective participation and equal opportunity of leadership at all levels of decision making. 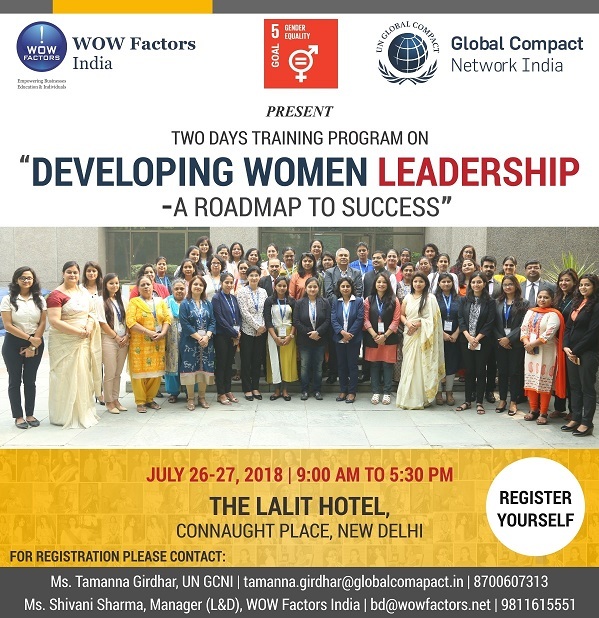 This two day’s program is designed for your women managers and executives who are responsible for designing and implementing strategies for organizational growth in your company. It will be useful for mid-career women executives in upper -middle to senior level positions who are being considered for higher responsibilities or who are new to senior management.